Student Portal for new and returning students. The Student Portal is the starting point for all students. It has links to the online Student Guise, the Course Catalog, and the online Learning Area. Jump to the Student Portal here. Staffingsafety.com is designed to meet the safety training needs of PEOs, Temp services, staffing companies and general contractors while keeping them compliant with the OSHA training requirement. Since the PEO/Staffing company does not control the site or scheduling of work, all they can provide is core education about job safety. Online training coupled with Staffingsafety.com's online forms and employees' access to a qualified trainer (to ask questions and receive a response) protect the PEO/Staffing company's clients as well. OSHA safety training rules for the most part are performance-based standards. The workplace must remain free of hazards, but the employer determines exactly how that will be achieved. An employer can use a variety of methods and technologies for training and to test the effectiveness of training as long as the safety goal is met. Simply doing safety training is not enough. OSHA requires a safety program which includes training, record keeping, paperwork, a curriculum, and administration. OSHA uses the explicit language of "Administrative Controls" throughout the Standard (think Hazard Control), and even has an entire section created to deal with record keeping. We apply these concepts to Safety Training above and beyond what OSHA requires. We are able to provide documentation and certifications for training for our clients. Even if the site client refuses to do safety training, the Staffing Company, PEO, or General Contractor is still protected.The Internet if filled with acceptable safety training videos (our safety training videos are excellent), but the magic happens at the back office. Just as PEOs handle the paperwork of employment for their clients, we handle the paperwork for safety training. Our curriculum emphasizes personal responsibility and cooperation. Our training lets employees know that OSHA legally requires them to follow the safety rules and participate in accident investigations. 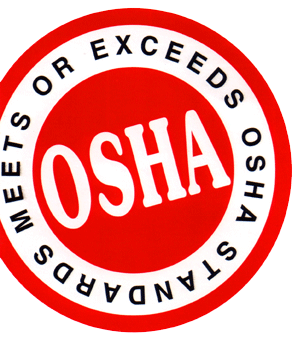 See what OSHA says about online Training here. Staffingsafety.com works to deliver efficient and effective online training, reduce overall training costs, and provides cost effective online alternatives for organizations that are faced with regulatory compliance training. We provide a unique and effective training solution for reaching a geographically dispersed audience and let people participate in the training at their convenience. The trend towards online learning raises the question of just how effective online education is compared to traditional education. According to a recent study conducted by SRI International for the US Department of Education, online learners perform slightly better than students in traditional face-to-face classrooms. We know that usually companies have a variety of shifts, schedules, and job sites, making it difficult to assemble a group of employees in one place at one time to learn about safety. We are proud to offer our online safety training courses which cover the same information as offered in our onsite courses and meet OSHA's training requirements. Our course curriculum is taken from OSHA's requirements for training and our years of experience knowing what hazards employees face and what training they need to deal with them. We have even created custom courses for specific hazards that our clients encounter. Don't see a course dealing with a hazard you deal with? You can request that we add a topic. Staffingsafety.com can help you meet your OSHA training requirements. Paid services consist of testing, accounting, and back office administrative functions of the training. It is this administration that requires specialized expertise, differentiates this site and the services offered from other sites, and meets the requirements of OSHA. free training does not the requirements of OSHA. Staffingsafety.com provides paid accounting services to companies. Access to training materials, media, and other content on this site is provided to students, on an individual level. Staffingsafety.com does not charge for content, only our accounting services. You can use your own training material. Staffingsafety.com makes training material available, but you can use your own content. You can do your own training and staffingsafety.com can do the testing and accounting of that training. We can even post and password protect your content to make it available through the Internet to ONLY your people. Our free training does not the requirements of OSHA. It is at the discretion of the client as to what the exact incentive will be. 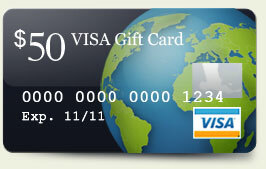 Incentives may vary by department, staffing or GC client, location, etc. Students must file the Completion of Training Form with staffingsafety.net immediately, upon completion of the program of study. Other terms and conditions may apply. All users have access to training materials, media, and other content on this site. All training materials, media, and other content on this site is provided free of charge. Paid services consist of testing, accounting, and back office administrative functions of the training. It is this administration that requires specialized expertise, and meets the requirements of OSHA. It also includes staffingsafety.com providing proof of training and verification of the content of training upon OSHA's request. We will also provide proof of training and verification of the content to other 3rd parties (such as insurance carriers, general contractors, etc.) as well. Paid services gives students better access to trainers for questions and staffingsafety.com will alert our clients of safety issues we are made aware of by students. If you have questions, or require a specific service, email us for a proposal.